I met with Lorraine a few months ago at the start of her venture with JD Williams – we talked all things about life and style over 50 and of course clothes!! At the time Lorraine’s own designs weren’t available to buy – they have been for a while now , but when I met with Lorraine she was keen to stress just how hands on she was in the process and the amount of thought she gave to each of her designs. There was one dress in particular that I really liked a) because I loved the freshness of the colours b) it has sleeves and c) the detail on the back. 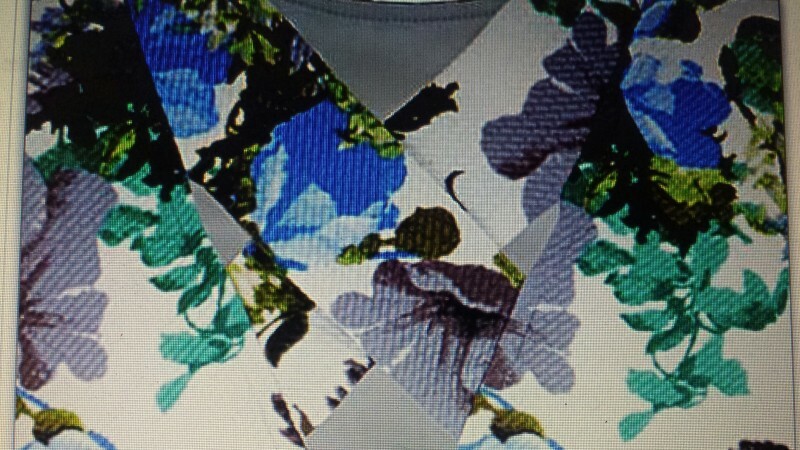 So often I look at a dress with a ‘v’ at the back ,only to find that it is cut too low to wear a bra with. With this particular dress, Lorraine has designed it with a strip to cover the bra strap – great idea – very simple but SO practical! 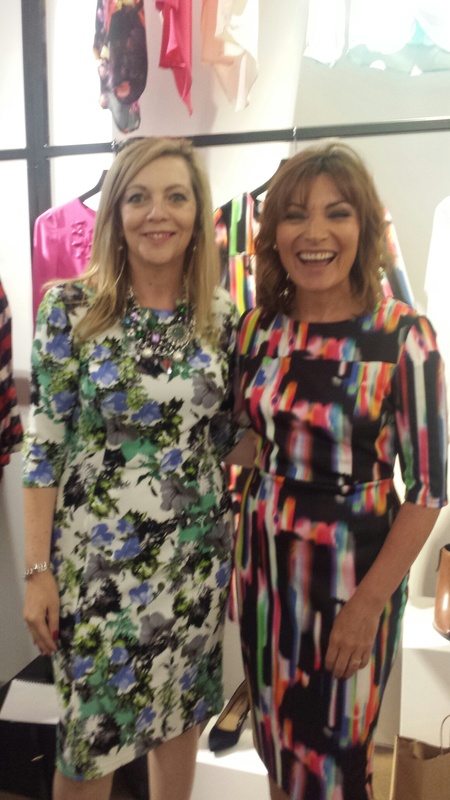 Here I am in the dress from JD Williams I’m describing with Lorraine as I previewed her next collection – there are some more great pieces to look forward to – including the dress Lorraine is wearing in the pic. From the beads selected for the trim, to the fabrics, Lorraine gets very involved in every aspect of her collection. Lorraine wanted her clothes to be wearable and affordable – with attention given to cut , sleeve length and style. Purely by coincidence, the day we met also happened to be the day the pics of Lorraine in a bikini hit the press. As Lorraine told me she has got to the stage in life where she really doesn’t care what others think about she looks – but if her being pictured wearing a bikini helped inspire other women to have the confidence to do the same then that was terrific.